L.G. 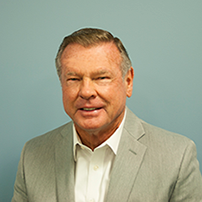 Lyle founded The Lyle Company in 1989 with a simple and clear focus – provide outstanding service to the client. From the success of those first few search rings in the Seattle market, L.G. was rewarded with the opportunity to grow his business guided by that simple mission of providing outstanding service to the clients. L.G. and The Lyle Company are honored to have been an integral part of the growth and success of the wireless industry over the past 25-plus years, and look forward to playing a supportive role in the accomplishments of the industry for many years to come. L.G. is currently retired.